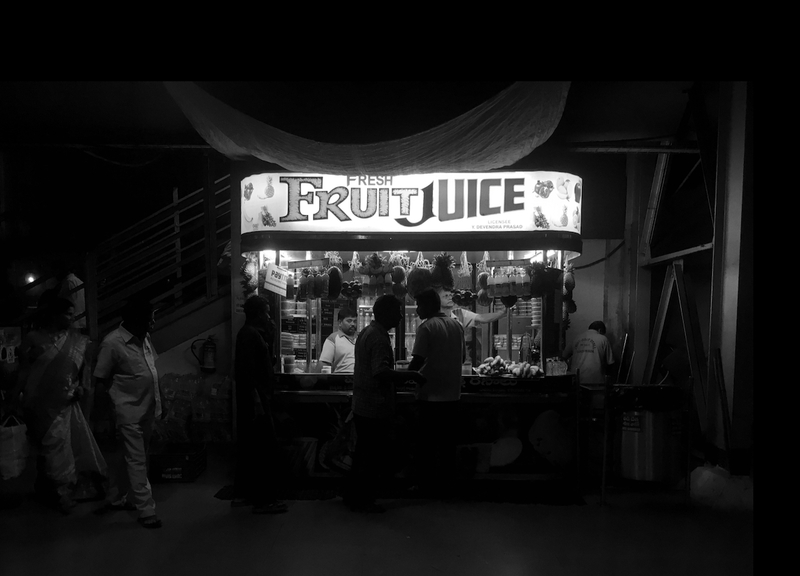 The best fruit juice stall in the world is located on platform no. 1 at Vijaywada railway station. No hyperbole, no fancy mixes. Just fresh fruit, water and water thrown into a blender at high speed and poured out into paper cups. And in Mango season, the best Banganapalle from nearby Nuzhvid makes its way to this stall. Tastes best at 1.30am when you are slightly bleary eyed and need a jolt.